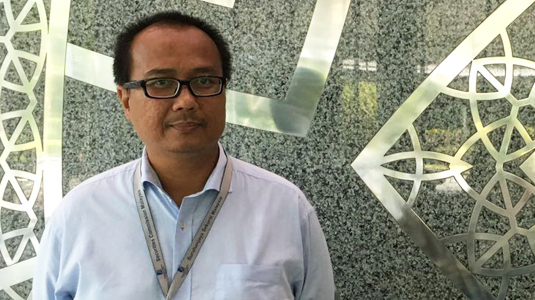 Arief Amron joined the Securities Commission (SC) Malaysia as Head of Knowledge Management in February 2014. 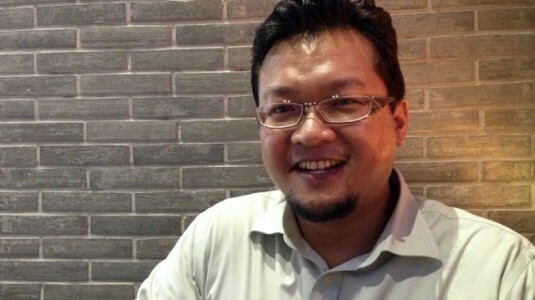 Prior to that, he was with Maybank for 2 years and with Bank Negara for 14 years (of which 5 were in a KM role). Our friends at eClerx Services in India have been busy building their short KM videos library, this time focusing on KM in law firms, in a series of short Q&A clips with Ginevra Saylor, head of KM at Denton’s. Topics are listed below – check out the channel here! Shah is Divisional Director of the Operations and KM Division at the International Enterprise Singapore (IES), a government agency tasked with spearheading the growth of Singapore companies in overseas markets. Apart from KM, he also oversees IES’s helpdesk, which supports local and overseas IES centres, as well as the implementation of Whole-of-Government initiatives in IES. Nick Milton and I have written a couple of blog posts on the Kogan Page website to introduce our new book The Knowledge Manager’s Handbook, due out in 3 weeks. Nick has written a post outlining four reasons why knowledge management can benefit organisations, and I have written a post describing some of the pitfalls you might encounter in implementing knowledge management and how to avoid them. The Kogan Page website has a sample chapter for the book, and if you order through their website, the 20% discount is still valid – use the discount code KMHSK. Whenever I have a conversation with Shawn Callahan I come away feeling stimulated and enriched. We have a way of riffing off each other’s ideas and insights in a completely delightful way. It’s like taking a journey of discovery together. This book is the next best thing to one of those conversations. Shawn is one of those rare writers whose personality shines through his writing. His book is elegant, focused and intensely engaging. Putting Stories to Work is written with the simplicity and clarity of a deeply experienced practitioner, grounded in an expansive knowledge of the background research. It’s also a wonderful exemplar of the art of telling “small” stories simply and effectively to communicate, engage and help people make sense of the world around them. 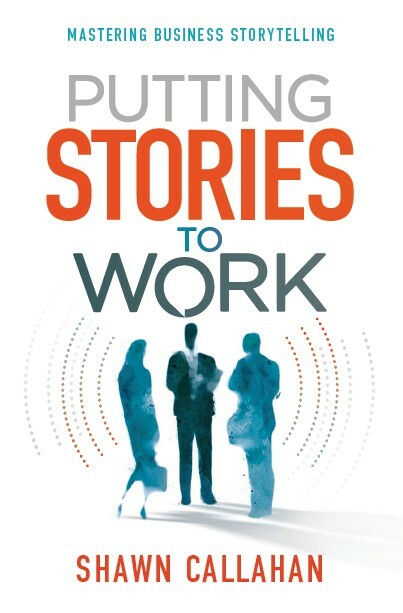 This is pitched as a book for storytelling in business, but storytelling is first and foremost an ancient social skill, often ironed out of us by the rationalism and autism of modern life. You can use this book equally well to build your storytelling skills, habits and repertoire in your personal and social life. If you want to become a productive and reflective practitioner of storytelling in an entirely grounded, non-gimmicky way, this is the book for you. And as Shawn reminds us, don’t forget to have fun while doing so. My new book with Nick Milton, The Knowledge Manager’s Handbook, will be published in April by Kogan Page, and they are offering a pre-publication author’s discount of 20%. This discount is only available for orders processed through the Kogan Page bookstore at http://www.koganpage.com/KMH. To get your discount, use the discount code KMHSK. Enjoy! Every now and then we are asked by clients or potential clients whether we can help them conduct a KM Maturity Assessment. We are always very cautious about this, for the following reasons. (a) A generic assessment instrument takes a very templated approach to what is a very unique set of needs in any given organisation and so it tends to focus attention on generic steps and solutions that may not be appropriate to the context of a specific organisation at a given time, and it tends to miss “outlier” activities that may be important to that organisation at that time. For example, a typical framework would stipulate the need for senior management buy-in. We have worked with organisations where senior management buy-in would have indicated as a positive in the assessment, but when it comes to intangible levels of support, the management culture of walking the talk is weak, yet not easily observable in a formal assessment. On the other side, we have seen organisations where senior buy-in was not present at the outset, but where solid KM progress was made in portions of the business, leading to the scaling up of support (and more progress) later on. It is very hard for a generic KM maturity framework to pick up these nuances in a formal assessment, and the sequence of stages in a KM journey varies widely across different organisations. (b) The KM maturity landscape in large organisations tends to be uneven, with peaks and troughs – some parts are more mature than others. An organisation wide maturity instrument tends to even these out and produce an averaged out assessment that is not representative of the ground realities in the organisation, or the the peaks and troughs in the landscape. This means that the overall KM assessment may not be representative of the ground realities in the different parts of the organisation. On the other hand, trying to get a partitioned set of maturity assessments for the different parts of the organisation is a complex and onerous exercise. A knowledge audit is a much more effective instrument for identifying different needs and possibilities. For our upcoming book, The Knowledge Manager’s Handbook, Nick Milton and I discussed at some length whether we should include KM maturity assessments as part of our section of measurement and evaluation, and decided in the end it was better to leave it out, for the reasons given above. For KM planning and monitoring purposes, they simply don’t function very well. Nick has a couple of nice blog posts giving his perspective on this. I suggest you start here. Maturity assessments can be useful in some circumstances. For example, they can be useful to trace the maturity of specific KM initiatives such as a community of practice, where there is a great deal of data on the different stages that communities of practice go through – far more stable and consistent data than KM implementations in general. We have also built customised maturity assessment frameworks for clients based on their KM strategy and roadmap – in that case, the maturity instrument is customised to track what the KM strategy and vision intends to achieve over a given period, and so overcomes the “one size fits all” issue. However you still have to be careful about the “averaging out” effect where you might miss uneven levels of progress in different parts of the organisation. In short, I don’t recommend using maturity frameworks at the start of a KM journey – a knowledge audit is much more effective at supporting a structured needs analysis and determination of goals and objectives. Maturity frameworks can sometimes be useful as part of a monitoring framework once the strategy is developed, but should be used with some caution. We are organising two major Masterclasses in May and June this year, led by – well – Masters in their fields. May 27 2016 we have a Masterclass on the ShadowBox training method, on a set of practical techniques and tools for transferring tacit knowledge from our great friend cognitive psychologist Dr Gary Klein. June 16-17 2016 we have a Masterclass on using Gamification to create impact in knowledge management and change management initiatives, led by the inimitable Professor Michael Sutton. Places will be limited, and early bird prices expire in March, so get your approvals and book your places soon!